The V1LG requires a micro SD memory card with a Class 10 / UHS-I or higher speed rating. The camera supports cards up to 256GB. It’s also important that the memory card you choose is built for dash cam use, which is why we specifically recommend cards which have that designation. Please check our latest card recommendations for help choosing a card. How does GPS work with the camera? The internal GPS Logger allows the camera to write location data to recordings. This means you can see your route taken in your videos, as well as your speed traveled using the GPS Logger software. To record while your car is parked, you need to make sure the camera is wired to a source that provides power even while the car engine is off. While some cars have a cigarette lighter port that always provides power, other cars require you to use a hardwire kit to connect to an always-on fuse. Check out the hardwire kit for the V1LG here. The package includes a 3M adhesive pad and a plastic mount piece for the front camera. The 3M pad is used to stick the mount to the windshield. The front camera can then slide down into the mount piece to be secured to the windshield, and can be easily removed from the mount as needed. For the rear camera, there is a 3M adhesive pad already mounted to the camera, you just need to peel off the sticker and place it to the rear windshield. Why is the rear camera image mirrored when I look at it on the display? On the rear camera, you can toggle the built-in switch to horizontally flip the rear camera image on the front display. 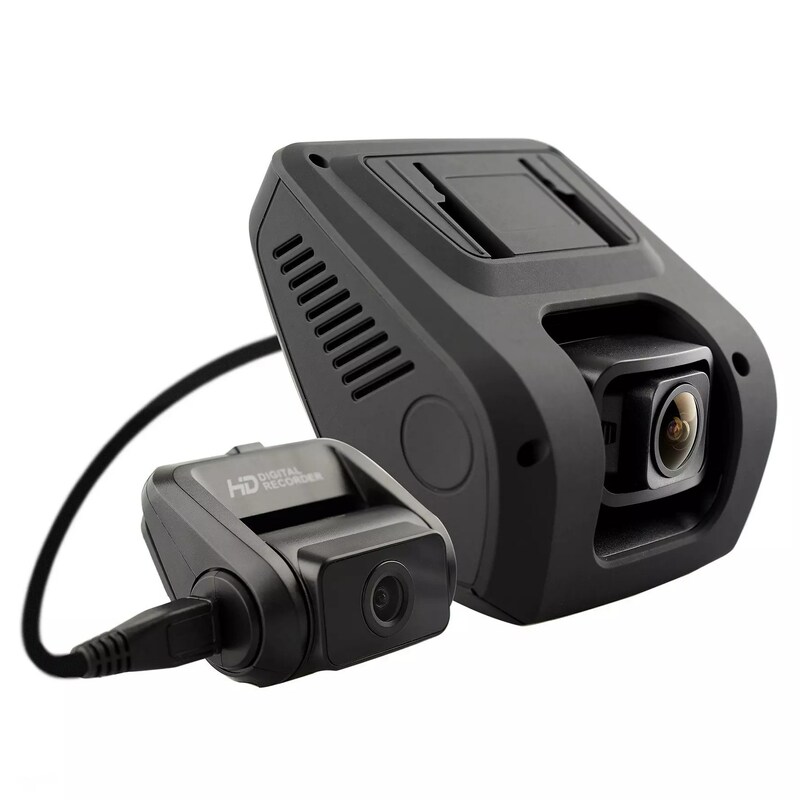 This makes it easier to comprehend the point of view when using the rear camera as a backup camera. Having this enabled will not cause recorded video to be mirrored, only the display will be affected. The V1LG is intended to operate in temperatures up to 140°F.